So much of our urban environment is covered by tarmac while rainfall increases almost every year, ground reinforcement grids or plastic grid paving have become almost an essential tool in the battle against flooding. Hebden X-Grid is the replacement for Hebden 402 – and it provides extra strength for the matrix. Yorkshire-made from 100% British recycled plastic. 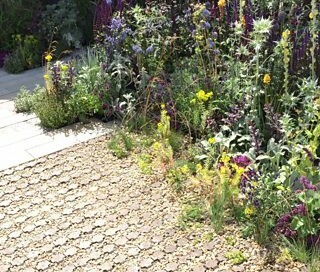 Hebden X-Grid is the highly durable, permeable alternative surface for car parks, private driveways, and many other uses. Hebden X-Grid can also be used for private driveways, cycle paths, and emergency vehicle lanes.